Mead High School Panther Athletic Announcements and Updates. Recognizing last week's achievements and sharing this week's schedule of events. Katherine McEuen and Jonathan Baird - Mead's 2019 GSL Scholar Athletes! In a luncheon, held today at the Spokane Club, Katherine and Jonathan were recognized as the Greater Spokane League's Scholar Athletes representing Mead High School. We now have student parking lottery dates: Tuesday June 11 and Wednesday June 12 (12:45pm - 2:15pm) at the business office. Students will be emailed by Wednesday, June 5. 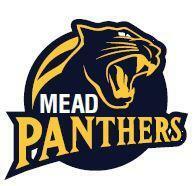 Mead High School is currently accepting on-line registrations for Panther Summer Camp programs in Boys & Girls Basketball, Football, Gymnastics, Girls Soccer, Cheer, Dance Boys & Girls XC, Volleyball & Wrestling. For the latest information regarding your sons' or daughters' team schedules, please go to the Greater Spokane League Website. 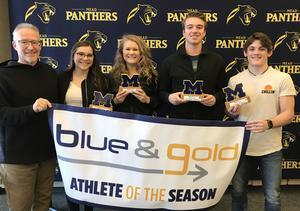 Maggie Gatlin, Sophie Shawen, Jonathan Baird and Chase Tebbets were recognized today as Mead High School's "Blue & Gold" Athletes of the Winter Season. 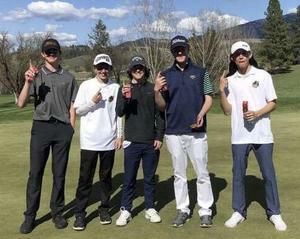 Congratulations Panthers and Thank you Subway Restaurants for your support. Come watch our spring play! 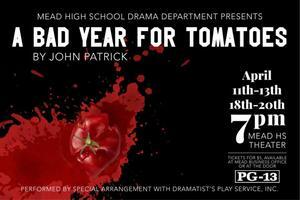 Come to the Mead theater April 11th-13th and April 18th-20th to see the drama department perform A Bad Year for Tomatoes! All showings are at 7 PM. Please note the play is RATED PG 13. Mead Senior Chase Tebbets Wins Third State Wrestling Title! After placing 2nd as a freshman in 2016, Chase has won three consecutive WIAA 4A State Wrestling Championships. SPRING SPORTS KICK OFF – Mead High School Spring Sports Student-Athletes and Coaches: Make plans to attend our 2nd “Kick off” event of the year.